A few years ago, a popular health blogger began exposing the possible dangers of a food ingredient called tBHQ, which is also known as tertiary butylhydroquinone, tert-Butylhydroquinone or t-butylhydroquinone. This has been found in a large number of foods and has the potential to promote cancer formation, according to the Center for Science in the Public Interest. t-Butylhydroquinone is a white to a tan, crystalline powder. It has a very slight odor. t-Butylhydroquinone is very soluble in water. t-Butylhydroquinone is used as an antioxidant in food (EAFUS) and cosmetics and as a chemical stabilizer. It is also an inert ingredient in some ant and roach insecticides. tBHQ is the one that stops the oxidation of molecules in food, thus stopping them from going rancid or rotten. 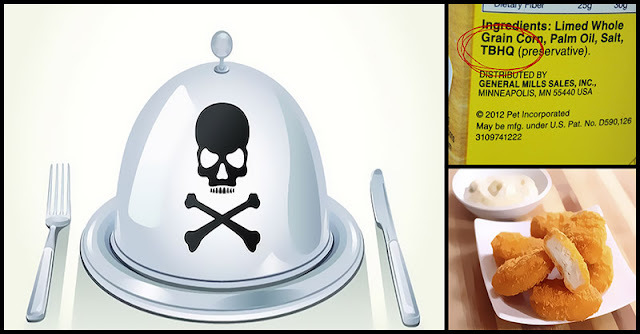 The unhealthier fats you eat, the more tBHQ you’ll consume. You’ll probably consume the most tBHQ if you are on low-carb diets that consume lots of fats with minimal nutritive value. tBHQ is a man-made compound that starts as hydroquinone, which is an agent used in the photographic development and for reducing silver, and then has a tertiary butyl group added to its molecular structure. This compound is not naturally occurring and shares the same molecular structures with other butyl molecules, just like those found in the lighter fluid. In an animal test, tBHQ causes some cancerous or pre-cancerous effects. It may also increase resistance to chemotherapy drugs and help cancer cells live longer. Various neurological symptoms related to tBHQ consumption has been recorded by the National Institute of Health. These symptoms include convulsions, vision disturbances, and medullary paralysis which is a stage of paralysis wherein the medulla (part of the brain that controls breathing and vital bodily processes) is slowed. tBHQ can cause issues with skin as it has been found in many cosmetics and other products you may use or touch. There were reports found that people have developed allergic dermatitis from tBHQ, particularly in cosmetics. This reaction may also be related to cross-reactions with BHA and BHT. The tBHQ’s potential to induce or worsen food allergies is possibly one of its most recent dangers. Cheryl Rockwell, Ph.D., a researcher at Michigan State University, has been conducting research in immunology and how tBHQ interacts with immunity. Her team discovered many of its immune damaging effects which could possibly promote food allergies. tBHQ inhibits some of the immune responses that help your body fight disease. This preservative activates Nrf2, a protein that controls antioxidant function. 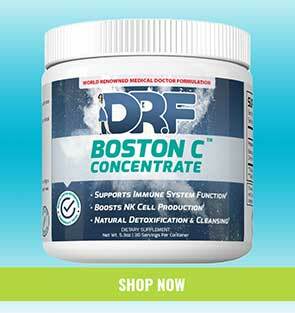 It causes Nrf2 to negatively interact with proteins that control immune responses, such as white blood cell function. tBHQ may hinder immune supporting processes in the body, thereby damaging the function of your immune system, and cause you to be more vulnerable to disease or illness. You can reduce any problematic symptoms tBHQ might have caused once you stop being exposed to it. Choose natural substitutes that have more antioxidant activity than tBHQ as well as don’t carry side effects like their synthetic counterparts. Eliminate foods that are known to contain TBHQ. You will bump up your overall health if you get rid of processed foods, fast food, unhealthy oil/ fats, and sodas. Make changes all at ones by starting making easy substitutions. Use avocado oil, ghee oil, or coconut oil for high-heat cooking at home. Fill your plate with more whole, non-packaged foods and opt for organic when you can feasibly do so. Lastly, treat your self with sparkling water rather than of soda.